Today during class we worked on Refresh and Replace scenarios. We touched based on a tiny step in the Task Sequence that is actually really cool. 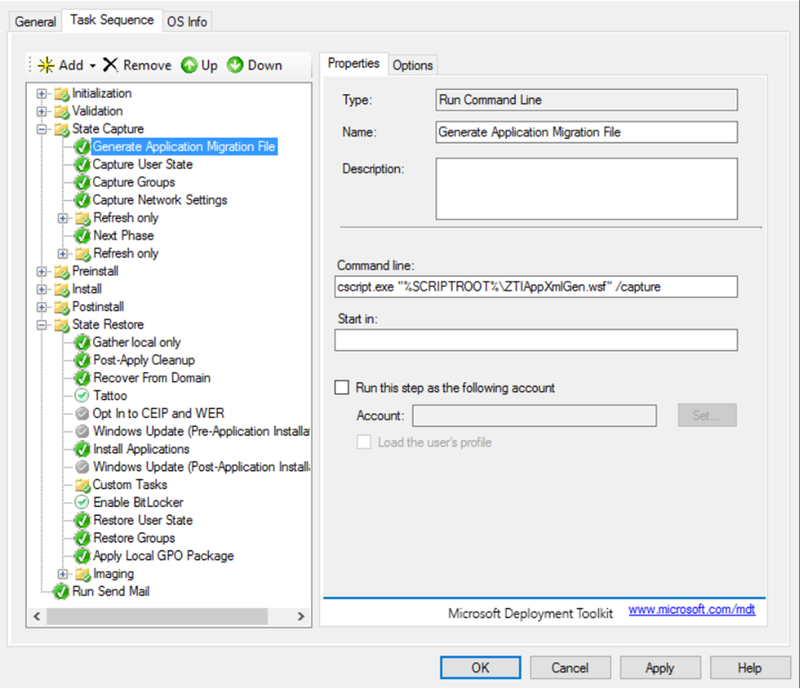 In the Task Sequence for Lite Touch (MDT Standalone) there is one step that does not exist in Zero Touch and that is the “Generate Application Migration File” step. That little step will do a really smart thing, it will basically make sure that registered file types that can be open with an application will automatically be saved by USMT. It does that by grabbing all non-default file types and then check if there is a corresponding application that can open the file by examining the registry. 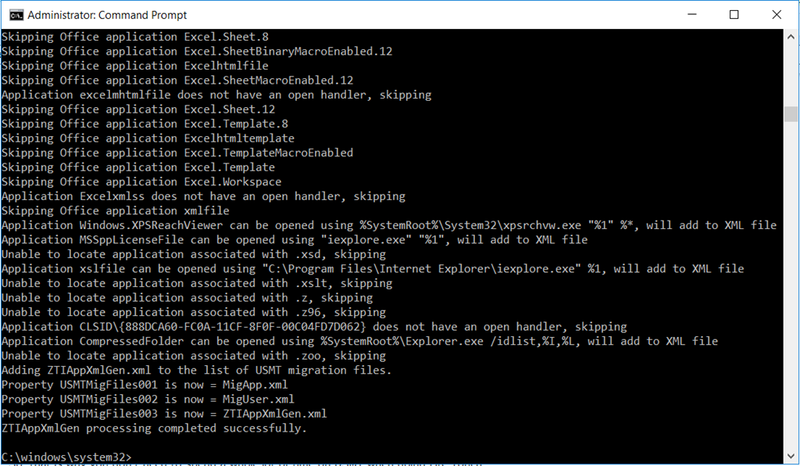 The “Generate Application Migration File” step. So, what’s cool about that step? ‘ // (documents) associated with installed applications. So, that is why you don’t need to spend a whole lot of time on USMT when doing Lite Touch. If you would like to see what it actually collects, you can run this interactive, that way it will generate a XML file. If you open it up you will then see what it would have migrated and not. ZTIAppXmlGen.wsf is something you don’t touch, if you need your own migration rules, you should create your own XML files. ZTIAppXmlGen.wsf is something you don’t touch,Why are not the same of your content files（ztiappxmlgen.wsf) and the content files(ztiappxmlgen.wsf)inside mdt. Does this feature have a place in a Windows 7 deployment, or is this for Windows 10? It does the same job in Windows 7, and works the same way.